On a long-haul flight in 2001, with the occasionally pungent aroma of reconditioned air in my nostrils and the drone of Rolls Royce engines through my headphones I was transported for a few hours not only to USA – but in to an alternative future. I had the immense pleasure of having time and little else to do but read a novel and a science fiction one too. 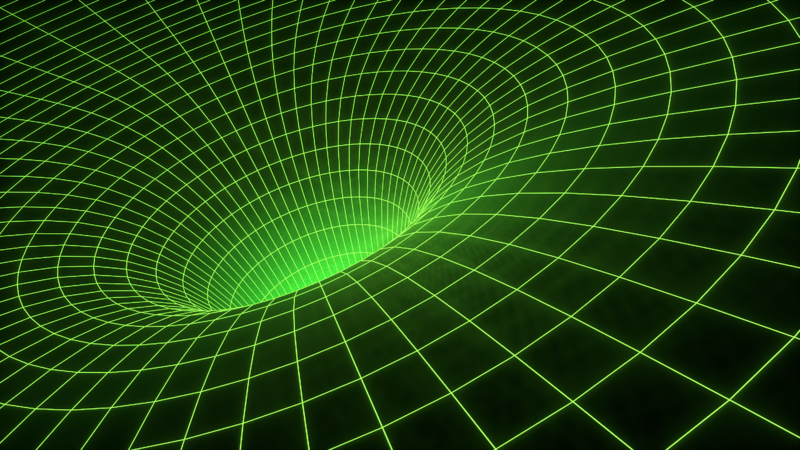 The story I read, “The Light of Other Days”, is centred on the discovery of wormhole technology which can be used to pass information instantaneously between points in the space-time continuum. The technology is commercialised by a global media company and used to create the “wormcam” which allows for anything anywhere to be viewed with profound implications for privacy. As I ponder the applications and implications of WebRTC, and explore its own wormhole like qualities, I wonder whether there are similar impacts for humanity and how the absolute digitisation of our communications streams – coupled with the massive computing power now at our fingertips – could impact upon our own privacy in novel and unexpected ways. My own company Alertacall is particularly interested in understanding how patterns in the way people communicate with us can indicate a change in their “need”. This is with the positive goal of helping our older customers get the help they need before a situation escalates and becomes materially more difficult to manage. And, as our future products and services start to use WebRTC and other similar communications technologies I wonder what additional data we’ll have at our disposal. I’ve long hypothesised that computers should be able to detect from cameras and other input devices subtle things about human physiology that the human eye cannot, but only had clear evidence of it after stumbling across the fascinating TED talk See invisible motion hear silent sounds. This talk demonstrates the possibility of detecting heart rate with nothing more than video, by analysing the microscopic movements in our skin caused by pulsating arteries. I wonder how long it is before a methodology to determine skin temperature is devised, or what can be inferred by knowing how quickly someone breathes, blinks or swallows? In 2012 the mathematician Mr Max Little announced that Parkinson’s symptoms can be detected by using algorithms that analyse voice data. There is also Voice Stress Analysis, which can indicate a range of emotional states including the detection of whether someone is potentially lying. What else could be inferred from a “call”? But what specifically has this got to do with WebRTC and similar stacks? I suggest that the incredible proximity of these communications streams to silicon provides an unprecedented opportunity to develop applications that exploit all of these methods for causes good and bad. For example: imagine if calls to emergency services were prioritised using real-time analysis of video and voice, where the person most likely to be having a heart attack is answered first. Also, imagine a world, in which the person or organisation you are in a call with has installed one of the dozens of analysis applications that are likely to emerge – and can infer huge amounts about your physiology. “Mum, I’m absolutely fine” the daughter says to her mother, but moments later the concerned mother’s machine tells her it’s simply not true with a simple Chrome plugin. We’re tremendously excited about the applications we can build with WebRTC to connect with our customers and to connect our customers to each other – but live in constant wonder about what opportunities will emerge.